I never really expected to be speaking with director Patrick Meaney about his work in detail for a third time but things sort of happened. One doesn't generally get to talk to any filmmaker at length all that often but the chance to talk to one director about three projects in less than two years is just not done. That they were lengthy interviews each time is somehow even more amazing. The first time I spoke to Patrick was for NEIL GAIMAN DREAM DANGEROUSLY when we spoke about the film, it's subject, comics, filmmaking and other things. It remains one of the coolest tings I've ever done (The interview can be found here). I thought that was the end of it until I was gifted about six months later with a chance to see his film HOUSE OF DEMONS, then called TRIP HOUSE, and I was blown away. I immediately asked if we could talk some more and he agreed. We then talked about horror films and related subjects (the interview can be found here) and then I was sure I was done. After fifteen months it was announced that a longer re-cut version of Patrick's film CHRIS CLAREMONT'S X-MEN was going to be released on the same day as HOUSE OF DEMONS. 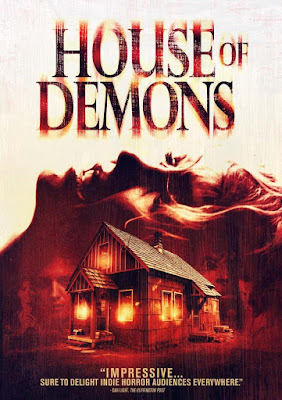 Because I like both films I started to put together coverage for Unseen Films, only to realize I needed art for HOUSE OF DEMONS since anything I had was tagged with the original title. I sent an email to Patrick asking for the new art and one thing lead to another and I realized I needed to ask him some more questions. What follows is most definitely both a stand alone interview, and something that is the continuation of the two year long conversation that Patrick Meaney and I have been having about, film, creativity, comics, horror movies and other things. You do not need to have read the previous interviews to know what we are talking about. (If you want to know what went before follow the links above). Lastly I want to thank Patrick Meaney for agreeing to talk with me once more. I also want to thank him for making not only these two wonderful films but also a large body of work that includes NEIL GAIMAN: DREAM DANGEROUSLY, THE IMAGE REVOLUTION, WARREN ELLIS: CAPTURED GHOSTS, GRANT MORRISON: TALKING WITH GODS and SHE MAKES COMICS. STEVE: How did you decide to make a film about Chris Claremont? PATRICK: I’ve always felt that Claremont was underrated as a comics creator. Stan Lee has done an amazing job of branding himself, but I care a lot more about Claremont’s characters than those that Stan created, and I found it odd that someone who created such a key piece of our pop culture remains so obscure. I suspect in the future Claremont will gain a reputation like Jack Kirby has today, as an underrated genius. When he died, Kirby was not viewed as the creative god he is today, and I think Chris will have a similar critical reevaluation in the future. And it was very interesting for me to break down the process of how these works that have become so iconic were created by a small group of people. It was Chris and Louise Simonson and Ann Nocenti and the artists bringing these iconic stories to life. I’m sure that Dark Phoenix and Wolverine will be being rebooted on screen fifty years from now, so why not hear the people who made these characters tell the story? STEVE: Was the X-Men Your entry into comics or did you come upon them some other way? PATRICK: It was actually. I got Essential X-Men Volume 1 when I was around 13. It’s a book that compiles the first twenty-five issues or so of Chris’s run, and I was totally hooked. It was so cool to see the start of all these characters, and the subtle evolution of Wolverine, Storm and the rest. I read what was in print in Essential format then, which was up to #161, and then a few years later I tracked down all the issues of his runs and read it through. It took a few months, but it was incredible to see the evolution of the characters in the stories, and to see how Chris updated his writing style, and art changed from the very clean John Byrne and Cockrum era to the much more stylized Silvestri and Jim Lee eras. And even though it ended abruptly, I do feel that Chris’s run has the sense of being one story from beginning to end. It’s an epic with characters moving in and out, and constantly changing. That’s what’s so unique about his work, there was no stagnation and no archetypes, it was slow and steady change over the years. The style can be a bit dated, and there are ups and downs throughout the run, but I think it still holds up today as an amazing single piece of work. At the time, there was no long form serial television, but Claremont was doing what we’d see Buffy or The Sopranos do years later back in the 70s and 80s. STEVE: The film has actually been around for a few years now, why did you go back and decide to revisit and expand it? PATRICK: There were a few reasons. I really wanted to get the film out there, but there’s not much of a market for a 40 minute film, so I knew that doing a feature would be advantageous. And, after shooting She Makes Comics and getting to know Louise and Ann better, I wanted to incorporate more of their story, and more of Chris’s backstory into the film. And, I felt like there was so much cool material that wasn’t included, so when I started looking at pulling together a feature a version, it all just fell into place and I think this a much stronger and complete project. I also think that the film is in some sense about the things that we’re struggling with as a society today. Marvel in the 60s and 70s was a company that was innovative and driven by creativity, and the employees were very loyal. And with Chris’s work, there was a long term investment in the characters and stories. By the end of his run, the company was driven by quarterly profits, and the kind of short term thinking that says that variant covers and crossovers are more important than consistently strong storytelling. I think you can see many parallels with what big corporations are doing, where their primary loyalty is to shareholders, and not thinking about the long term health of workers. Chris’s work paid dividends and by letting him tell his stories, Marvel laid the groundwork for so many comics, movies and shows that are inspired by what he created. Who knows what else could have emerged if they had let him keep writing the book? And, in our society today, so many corporations are driven solely by short term profit and not long term building of a relationship with workers. If you watch the movie, you can see why that’s a bad idea. PATRICK: The major changes were expanding the stories of Chris himself, delving into his background and how it influenced the stories, as well as the background of Louise and Ann. I also included the section about media adaptations of Chris’s work, and his feelings about those, as well as some more input from other people who were inspired by and loved his work. The MacBeth part is new, as is the wild story of how Jim Shooter became a comic book writer as a teenager, which still blows my mind. STEVE: You edit all your films to the style of the person you are profiling- however the film is the most straightforward of the films you’ve made. Why did you choose the straightforward approach? PATRICK: This film is a little different because it’s less of a dive into someone’s mind than a piece of advocacy for Claremont’s position in pop culture history. Most people already put Neil Gaiman or Grant Morrison on a pedestal, but I don’t think Claremont has the same respect. So, I deliberately chose to include voiceover for the first time, since I wanted to be clear that this movie is an argument for Claremont’s importance to storytelling, both in comics and beyond. My other big stylistic choice was to shoot the comics themselves rather than digitally scan the images. I wanted to capture a 70s analog feel, and make for a bit of a different experience. We were lucky to get access to a collection every X-Men comic from #1 on, and it was really interesting to hold a copy of Giant Size X-Men #1 in your hand and see that amidst this iconic storytelling are ads for gum. I wanted to embrace the fact that Claremont was telling stories in a format that wasn’t really suited for artistry, but he made it work. STEVE: The way the film plays out it is not just about Claremont or the X-Men but so much more. How do you consider it- a Claremont film? an X-Men film or even a Marvel film? PATRICK: I think it’s a bit of all those things. To me, Claremont and the X-Men are inseparable. He’ll give credit to Len Wein and Stan and Jack, but to me, the X-Men is a Chris project, and everything else is riffing on what he did. 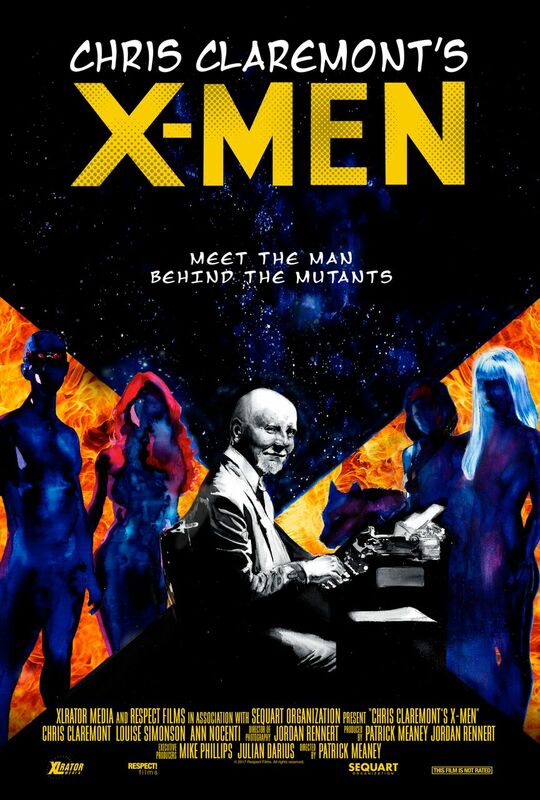 I love Grant Morrison’s New X-Men, but it inherently exists in conversation with Chris’s work. And everyone else who writes X-Men is basically doing a cover of Claremont. So, my goal was to show the way that even though the X-Men has become a kind of cultural mythology at this point, it didn’t just come out of nowhere, it came out of the work that Chris, Louise, Ann and the artists did over the years. And, the story of Marvel is definitely a big part of it. I loved Sean Howe’s “Marvel Comics: The Untold Story,” and I think this film touches on a lot of the same changes and struggles chronicled in the book. STEVE: Its clear in the film, but I know from talking to you about your Neil Gaiman film you like to talk to your subject repeatedly. So I was wondering How many times did you talk to Claremont? How much material did you actually shoot? How about with Louise Simonson and Anne Nocenti? PATRICK: We interviewed Claremont three separate times, one of which was the round table with him, Louise and Ann. We also shot some b-roll of Claremont at a couple of events. We interviewed Louise and Ann in the roundtable, and then separately interviewed Ann once and Louise twice. There’s a lot less material than Neil Gaiman, since that had all the road trip footage and is by far the most of any project. This was comparable to Warren Ellis or the Image guys. STEVE: Do you know if Claremont has a formula for writing comics? If so what is it Does he have say a ratio for dialog to image? PATRICK: He’s definitely doing a lot more dialogue and captions than is in vogue for books today, especially in his early work. I know he talked about trying to use less dialogue when the art can convey it. There’s a section in the film where he talks about how wonderfully Paul Smith was able to convey character beats through art, that Chris was able to reduce the amount of dialogue. But I’m not sure if there’s a specific formula. STEVE: What do you think of the X-Men films? If you could make one yourself would you want to tell a classic story or would you want to tell one of your own? PATRICK: I have mixed feelings on the X-Men films. I think the thing that made Claremont’s run so special was how it unfolded slowly over time and the characters changed gradually. So, no movie can capture the slow burn of the Dark Phoenix Saga, or seeing Storm or Wolverine’s journey over the course of 180 issues. I like, but don’t love the first two Singer films, and the more recent trilogy started out strong, but went down hill with Apocalypse. That said, I loved Logan and think it’s not only a fantastic X-Men film, but an amazing movie in general, and shockingly emotional. I think that film did what a book like Dark Knight Returns did in the 80s of presenting a very unique take on an iconic character and making it work. If I had the chance to make an X-Men movie, I’d want to hone in on a specific character and story rather than try to capture the whole body of work. I think Legion did a great job of isolating one element of Claremont’s run and bringing it to life. So, maybe a LifeDeath movie, that has a bit of a Before Sunrise feel and is a romance between Forge and Storm. I think that’d be a really fun way to bring some of what makes Claremont’s work strong to the screen. STEVE: How much of your material from one project ends up in another? Do you raid yourself and if so how do you decide what to use and what not to? How many films are you working on at the same time? PATRICK: A bunch of material from She Makes Comics wound up in this movie, and hearing how many creators we interviewed cited X-Men as a touchstone was part of the reason for going back and expanding the movie to include that. And, this movie is almost a prequel to The Image Revolution, in that it sets up the way that Marvel changed from being a very creatively free place to more restrictive, and I imagine even though they replaced him on the books, the Image creators must have been wary seeing how easily Claremont was pushed to the side after all his years of work at Marvel. I’m always up for using material across multiple films, and at the time I was working on this, we were also shooting Image Revolution and She Makes Comics. So it was fun to pull material from all these different sides of the story together in each different film. STEVE: Would you ever consider doing a film on Louise Simonson? PATRICK: I think between this project and She Makes Comics, we covered a lot of her story. But I would love to hear her talking about Death of Superman and more about her collaboration with Walt. She’s a really fun person to talk to, and has so many iconic stories from her years in the business. STEVE: Was the end of the film always the story about the woman talking about the nature of the characters not having stories but lives and the important nature of them to fans? How important is that statement to you as a fan and as a filmmaker? PATRICK: That was always the end, because I think it’s the best demonstration of why Chris’s work was powerful. Wolverine today is like Batman, an icon you can take in all kinds of directions. He’s an archetype who can be funny or serious or tragic. I loved the film Logan, and think it’s an incredible riff on the character, in the same way I love The Dark Knight. But if you go back and read Claremont’s story from beginning to end, Wolverine is not an archetype, he’s a guy who changes over the years. It’s such a long body of work, and there are ups and downs in quality, but when you look at the growth and change of Storm or Kitty, it’s remarkable. And, due to the extended serialized nature of the story, it really does feel like these characters are living their lives. And whether you read it month to month at the time, or read it in a row now, that’s what reading Chris’s stories feels like. 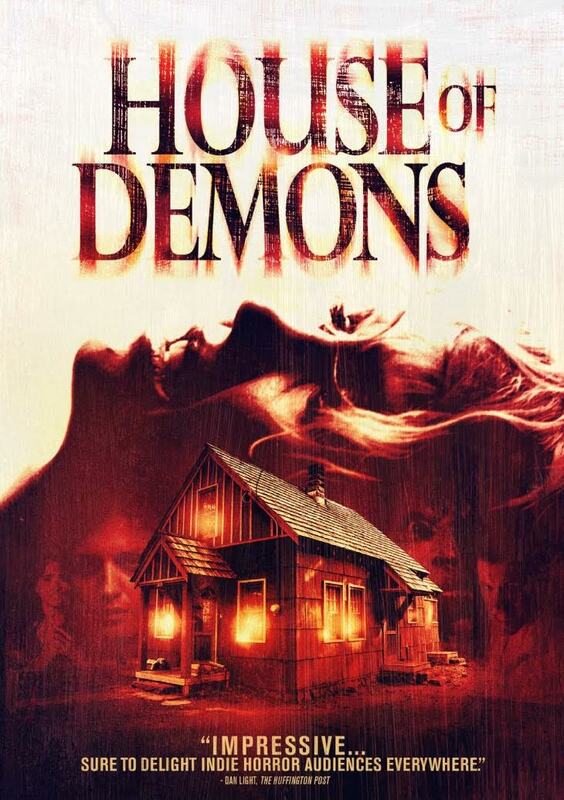 STEVE: And now to shift gears to the other film that is coming out today HOUSE OF DEMONS. Because I asked it about Neil Gaiman and Grant Morrison wom you've profiled, easiest way to transition is how did Chris Claremont and the X-Men influence HOUSE OF DEMONS? I think on a general level, I loved his focus on character, and a lot of my writing is very character-centric. But, there is one very specific influence. There’s a story Chris did, during the Fall of the Mutants, where Storm and Forge are in another dimension and watching time pass at a very accelerated rate, and dealing with this sort of alternate version of themselves. I liked the idea and had something similar happen to Matthew and Katrina at one point in the film. STEVE: I saw the film originally very close to the film being completed in October 2016. Have you gone back and tweaked it all? PATRICK: I think the sound and color weren’t 100% locked when you watched it, so those got finalized, but otherwise it’s the same. I delivered the film almost a year ago, so it’s just been waiting for the most opportune time for the distributor to release the film to market. STEVE: Why did you change the name of the film from TRIP HOUSE to HOUSE OF DEMONS? PATRICK: The name was changed by the distributor. Basically, we got some push back on the drug connotations of Trip House from certain buyers, so we had to change the name to ensure that it got out there in the right way. Thankfully the film itself was totally unchanged, so it’s okay. STEVE: When I originally spoke with you about the film you said that the original idea was that the film was partly to be set in the 1920’s and then you changed the film after you heard the story about seeing Charles Manson dance and lightning coming off him. I was wondering how a 1920’s setting would have changed how the film operated. PATRICK: My original idea was that it would be more that this house was a soft spot in time and each of the characters would encounter people from a different era. So, the stories wouldn’t tie together as tightly as they do in the final film. But, as I was writing it, I realized it made more sense to have it be one emotional journey, rather than something so split up, and wound up focusing on the 60s cult and the present day characters. I think a lot of the writing process of any movie is winnowing out ideas that might be interesting, but don’t necessarily fit into the story you’re telling. And there’s so many elements in the movie already, whatever I could do to streamline was good. STEVE: When I originally spoke to you about HOUSE OF DEMONS while I asked about the writers you had profiled, but I never specifically asked you if there were any films or stories that influenced what you were trying to do with the film? PATRICK: On the film side, Magnolia was a huge influence. I loved the way the movie told the story of all these different characters, but structured in such a way that it felt like one single story gradually surging forward. When I was first talking about the movie, I would describe it as Magnolia meets The Shining, since the idea was to have the creepy, time bending feeling of The Shining mixed with the ensemble structure of Magnolia. Another huge influence on the storytelling style was the anime series Neon Genesis Evangelion. Obviously we didn’t have giant robots, but the way that series dove into the characters’ minds was so powerful, and I loved the editing techniques that Anno used. There was one sequence in particular, where there’s a bunch of still frames and Gwen VO that was inspired by Evangelion. And definitely Grant Morrison’s work, particularly The Invisibles, expanded the boundaries of the kind of story I felt I could tell. STEVE: When we last spoke you had said that the work of both Neil Gaiman and Grant Morrison had influenced Demon House, I was wondering if they have seen it since then and if they gave you any feedback? How about Chris Claremont or Warren Ellis? PATRICK: Nobody’s seen it yet, but I’ll be sending them DVDs once I get them from the distributor. STEVE: In the year since I first saw the film I find that the film remains fixed in my mind, not so much as a horror film but as a solid character drama with fantastical overtones. Would you be unhappy if the film found life as a drama rather than as a horror film? PATRICK: That’s always how I saw it too. I love the weird elements, and time travel and demons and cults, but the whole conceit of the movie is really a way to dive into the characters’ minds and have them deal with their issues. I think some horror filmmakers feel like they have to just put enough character moments in to get to the killing, but I never felt that way, I wanted to really focus on the actors and bringing these characters to life. I think there’s also a flip side of filmmakers who do genre to get a movie made, but seem to feel like they’re above it, and I don’t feel that way. It feels natural to me to have a scene about a real life issue like a young woman feeling an inferiority complex about herself or a guy feeling angry about a breakup, and juxtapose it with a demon. When they work together, it amps up the whole experience and makes everything more potent. STEVE: Slightly off topic- How long does it take you to edit your films? Now that you've gone back and expanded the Chris Claremont film do you have any desire to do something similar with your other films? PATRICK: It usually takes about a year to edit a movie. With docs, I’ll be editing as I go, and eventually you reach a point where the movie just feels right and it’s wrapped. With House of Demons, I got a lot of feedback and had to make many changes to get it to the point where I wanted it. I think I learned a lot, and incorporated that into writing scripts, so I’m hoping it’ll be faster next time. The Claremont project was a specific case, since the original was short form, and I always had a feature in mind. That said, I have thrown around the idea of doing a Grant Morrison: Talking With Gods: 10 Years Later update, and adding an epilogue (or making a standalone piece) that would catch up with what Grant has been up to since we shot the film. The ten year anniversary of filming is next year and the movie came out in 2010, so we’re getting close and I hope to do that. I’ve talked to Grant about all the upheaval of the world today and he has a lot of interesting takes, plus he’s been moving more into Hollywood, so there would be a lot of interesting material to talk about. STEVE: How do you decide to take a project that isn't wholly your own? If say Marvel came to you and offered you a film but gave you no input but might give you autonomy don the road - would you take it over another project where you could help shape it but no guarantee of anything? PATRICK: That’s something I think about quite a bit, since it seems to be the primary path for new directors today, from Ryan Cogler to Rian Johnson to directors not named Ryan. I used to feel down when directors I love “took the paycheck” and worked for a big company like that, but today I understand how stressful and challenging the world of indie film can be, so the idea that I could be paid a ton of money to make a Marvel movie sounds appealing. That said, I’d rather make a $10M movie I had full control over and was original than make a $150M Marvel movie. I don’t know what it is, but it seems like most directors aren’t able to do the thing that Grant Morrison does in comics and bounce from big corporate superhero stuff to original properties. James Gunn hasn’t made a movie besides Guardians since he started, Rian Johnson will be making Star Wars movies for the next ten years. I’m happy for them, and it must be a lot of fun to get to mess around with those characters and budgets, but we’re also losing something in the process. Ultimately, I’m hoping to make the next Star Wars, the kind of movie that gets rebooted in thirty years, but I understand that’s an uphill battle in this market. STEVE: Since we are talking about two of your projects finally hitting home video I have to ask what we can expect from the Blu-ray and DVD release of your Neil Gaiman film, what can we expect in the way of extras, out takes and deleted scenes? PATRICK: The Blu-Ray/DVD is supposed to come out in July. I’m compiling material now, and it’ll probably be about 20 minutes of edited material that I deleted along the process of making the film, along with a Q&A I did with George RR Martin in New Mexico after a screening of the film. But, I’m confirming all that now. I’m hoping that librarians will really embrace the film and get it out there, since Neil is such a librarian’s darling. STEVE: In a kind of follow up to our last interview - As a horror filmmaker what horror films or recent vintage have impressed you? PATRICK: My favorite movie of last year, and an all timer for me, was mother! I understand it’s not for everyone, but it’s precisely that extreme and unique vision that made it so exciting for me. I was shocked by the turns that movie took, and the boldly allegorical storytelling style. I love the chamber drama of the early part, the “please leave my house” feeling of the middle, and the craziness of the ending. And the more you think about it after, the more layers it reveals. I think there’s a real tendency in today’s culture for people who like a movie to want everyone to like that movie. There’s this obsession with Rotten Tomatoes scores, and such hostility towards those with different opinions. The movies I really love are rarely the ones that would get a 100% on Rotten Tomatoes, since the thing that makes me love it will also be divisive to others. And I have no problem with mother ! getting a razzie nomination or with people calling it the worst movie of all time, since it’s designed to produce an extreme reaction. And I think it works wonderfully as a horror film, and shows the way the genre can be very broad and incorporate a lot of artistry and style, while still being as genuinely scary and disturbing as anything I’ve seen in a while. STEVE: With HOUSE OF DEMONS finally getting a release and CHRIS CLAREMONT's X-MEN getting an extended home video release and the film SHE MAKES COMICS which you produced on Netflix, I was wondering what you have up your sleeve? PATRICK: I’ve spent the past year or so writing scripts and developing projects. I have a new movie I’ve been working on with House of Demons producer Amanda Sonnenschein and Tiffany Smith that I’m hoping to shoot this year, and several other scripts line up and ready to go once we get the funding together. We’ve been very fortunate to get a really big distributor for such a small film, and I’m hoping to keep the momentum going and just make more stuff. I’d love to be making a movie a year, but for now it’s been mainly writing and building relationships on the distribution end.